Mr. Valentino is so renowned for his glorification of women, so famed for his iconic red carpet gowns, that his menswear often goes unremarked. But Valentino menswear is no mere afterthought: The label was launched in 1969, less than a decade after Mr. Valentino and Mr. Giammetti’s historic meeting at a café in Rome, and several decades before the current menswear juggernaut got underway. Indeed, Valentino was one of the brands that helped set that juggernaut in motion, giving modern, on-the-go gents the opportunity to outfit themselves in elegant clothes without buying them bespoke. Instead of waiting on their tailor, these dapper lads could nip into the Valentino menswear shop on the Via Condotti in Rome, which opened in 1971, or into the ones in Milan or Paris that soon followed. An all-Valentino editorial in an issue of Linea Italiana L’Uomo from 1980 encapsulates the spirit of the Valentino menswear as the label came into its own. Men of consummate polish—in tuxes, or dress jackets, vests and ties—make their way around the streets on bicycles or oh-so-Roman Vespas, chic Valentino-clad women at their sides. This was dandyism infused with a spirit of dynamism: The details of the clothes were all considered and refined, but the attitude was one of joie de vivre. Mr. Valentino didn’t have look far for inspiration, when attempting to conjure that look and that vibe. 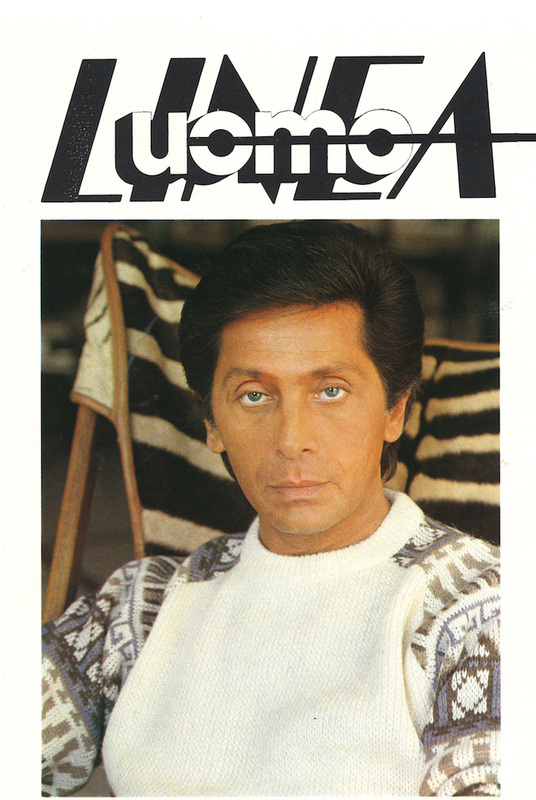 Indeed, his muse appeared on the cover of that edition of Linea Italiana L’Uomo: It was, of course, Mr. Valentino himself.